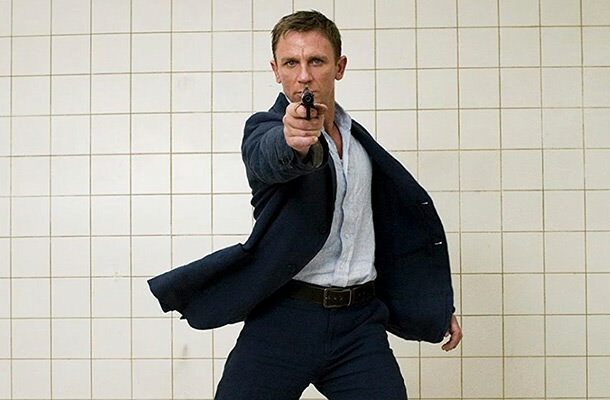 A few weeks ago, we finally received the official information on who will be the next agent 007, and it seems it will yet again be Daniel Craig, as he signed a $61 million deal and will reportedly play James Bond two more times! But now, we have the official info, coming from the Bond himself. The British actor is currently going around promoting the comical crime drama called “Logan Lucky,” but as expected, he’s also being asked about his future as 007. And although Craig has lately been, by his own admission, “quite cagey” about his return as James Bond, the star has just appeared on The Late Show With Stephen Colbert in which he finally opened up about his 007 future and settled the speculations once and for all. In the interview with Colbert, Craig admitted he had known the news for several months before going out with it, but had to keep it a secret and hold out with an official announcement until now. Shooting of the new James Bond movie is scheduled to begin at some point in 2018, while the US release date is saved for 8 November 2019.